(BROWNSBURG, IN – July 31, 2018) Robert Stout continued his impressive 2018 Lucas Oil Off Road Racing series campaign scoring his first series pole and second consecutive podium finish competing at Wild West Motorsports Park, in Sparks, NV July 20-21. Stout now sits 3rd in National Points and leads in Rookie-of-the-Year points. The Silver State Showdown race weekend and Round 6 was another successful outing for Stout Competing in the Production 1000 UTV category behind the wheel of the No. 915 Magic-Dry Absorbent / Yawpower Suspension / SC Fuels / Impact Race Products / CoverCraft / Yamaha YXZ 1000R. Stout was fast right out of the box sitting P1 after the July 20 first practice session. Stout went on to finish at the top of the list in the 3rd and final practice session as well. Confident they would have a good showing the team prepped the No. 915 Yamaha for qualifying. For the July 20 qualifying session, based on driver championship points coming into the weekend, Stout rolled out on track in the 4th position and began creating a gap to get six clean, unobstructed qualifying laps. On his second qualifying lap Stout shot to the top of the board with a 59.727 followed by 2nd in points Myles Cheek’s 59.765. Lap 3 saw the points leader and reigning champ Brock Heger squeak to the top with a 59.696. With two laps left in the session Stout posted the quickest lap of the weekend as he again shot to the top of the charts with a 58.947. Heger responded with a 59.290 and the checkered flew to close out the session. Stout recorded his first career pole in short course off road qualifying. In an unexpected turn of events Mother Nature threw the same curve ball that she threw in the previous race weekend at Wheatland. A two-hour rainstorm drenched the region forcing the series to change its running order of classes for the Saturday July 21 night event. With drizzle still falling the Production 1000 class would kick off the show on the wet, sloppy and muddy track. Stout’s Tommy Thompson Motorsports Team made a tire change to find some added traction on the slippery course. Stout and Heger led the field down the long front strait to take the green flag. Stout stabbed the throttle and got the initial jump but surprising horsepower from the Heger’s No. 1 machine allowed the defending champion to drive right back up beside Stout as the two went side-by-side into turn one. Heger was able to carry momentum on the outside to take the lead as Stout ran him clean. Stout hung onto second, but the No. 944 of Mickey Thomas was right on his bumper. The asphalt ace was clearly struggling in the early laps as he tried to figure out the best lines and fend off Thomas. On lap 4 Stout started to put it together and began to gap Thomas relieving the pressure until the mandatory caution flew at the halfway point bunching the field back together. At the restart, factory Yamaha driver Heger again proved he clearly had more power than the rest of the field as he immediately drove away. Stout settled in to second again, but this time had to hold off a charging No. 948 of Jason Weller. Able to run better lines, Stout again pulled away from the rest of the field to earn a solid 2nd place finish. In front of the CBSSN and MAVTV cameras Stout thanked his sponsors and crew. “This was a good run and it’s my best finish of the year. We had a great setup in the dry, but we have some work to do for the muddy conditions. I’m an asphalt guy so I’m just not there yet in the mud but hey, I could see where I was going this time so I’m learning. We didn’t have anything for Brock today, but we’ll keep working to make the car better until we win one of these things. I must thank Tommy Thompson Motorsports for giving me the opportunity to come out here and compete. Paul Yaw of Yawpower Suspension is also an asphalt guy but the most vicious competitor I ever raced with. He is extremely talented and the speed in this car is a direct result. Steve Croy, Chris Boodram, Asa and the entire Whitlock gang all play a huge roll in this effort, it is much larger than just one driver. I also must throw a shoutout to my childhood buddy Justin Spurgeon. He’s getting married as we speak, and I was to be his best man, but this racing thing always comes first so I think this trophy’s gonna have to go to him!” said a smiling Stout. Stout’s 2nd place finish earned him back-to-back podiums while propelling him into the top 3 in National standings. He also has a commanding lead in the Rookie-of-the-Year battle with a 60-point gap. With five rounds left in the Lucas Oil Off Road Series there is plenty of racing yet to do. 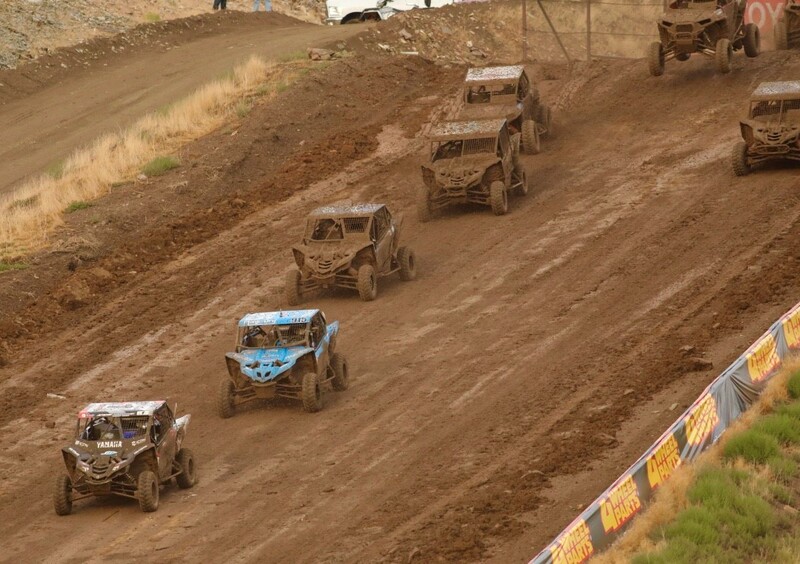 The TTM team will regroup before heading to the General Tire Utah Off Road Nationals August 24th. The Lucas Oil Off Road Racing Series (LOORRS) is the evolution of the long-standing support of short course racing by Forrest Lucas and Lucas Oil. Steeped in the Midwest tradition of short course off road racing infused with a West Coast influence, Lucas Oil Off Road Racing brings intense four-wheel door to door action to challenging, fan friendly tracks. Lucas Oil Off Road Racing Series: This is Short Course. Robert Stout has been racing for 12 years, eight of those at the professional level of sports cars and oval racing including Grand-Am/Rolex series, Continental Tire series, IMSA, Pirelli World Challenge, King of the Wing Sprint car series (competing in 900HP asphalt winged sprint cars) and the USAC Silver Crown. Stout has driven sports cars across all classes including GT, GS, GTS, ST, and TC. Litter as Mother Nature Intended. Our litter is made with one simple ingredient: coconut! And that’s it. No harmful allergens or chemicals for your feline friend here. CatSpot is a 100% all-natural. product that’s both odor-eliminating and hypoallergenic. And it’s manufactured right here in America! Zero Chemicals All-natural with no added fragrances. Odor Elimination Absorbs and masks unpleasant odor. Hypoallergenic Dust-free with no clumping agents or toxic clay. Lightweight Don’t lug home heavy litter ever again. For more information on Cat Spot visit catspotlitter.com. Copyright © 2018, MMR Racing / Robert Stout Racing All rights reserved.